You did an amaze-ing job, Mama! Congrats again. Thank you for sharing something so incredibly personal Kath. This truly is a beautiful birthing story. I was 23 with I had my first son. Gosh I feel like I was so young back then. I wish I could do it over again. I was too young and naive to know that the doctors really did take over the whole experience and really it wasn’t the way it should have been. Same for my second child 2 1/2 years later which was worse than the first. I’m thankful that my boys are healthy and happy, and also happy that I had them when I did, but I wish I could go back and do it all over again knowing what I know now. Congratulations, again, to you and your amazing family! Phew is right :). Thank you for fixing the comments! As I have shared before, ny first baby was a preemie and I was 8 cms before anyone knew I was in labor. I thought I was just crampy from constipation! Ok, TMI but we are sharing here. My second was a normal 39 and 2 day delivery. We got to the hospital and I was 6 cms, so I was given an injection of Stadol. THANK GOD or I do not know how I would have survived. I so admire you for your determination to do this drug free, and also recognize that you respect a woman’s right to choose drug free or not. Now, this placenta thing. You didn’t have to push? I am so shocked by that! It hurt just as much as delivering a 8 lb 5 ounce 20.5 inch baby! Thank you again for sharing your story. I teared up many times, and am so happy you have a beautiful family to show for all this hard work! I’m seriously considering getting knocked up like _tonight_ after reading your birth story!!! It’s amazing, and beautiful, and inspiring! You earned that gorgeous boy!! Congratulations to you and Matt and thank you for sharing your life with us. Its a very special (and weird! lol) thing that we live in an age where someone we have never met can make us feel so connected to them. Mazen will be well loved by a group of people who will never lay eyes on him! great story and beautiful family! congrats again. I can tell u getting an epidural doesn’t mean labor is a piece of cake! My water broke too at 39 weeks and I went right into active labor. It was intense. I got an epidural right away. It did numb my contractions but I ended up in labor for 17 hours and pushed for over 2! Also had a cervical lip, vacuum assist. Pushing was the hardest thing I’ve ever done! My little girl turned out to be just under 9 lbs no wonder! I give you props for going natural! I too was not prepared for recovery from a vaginal birth. I tore in two places and oh my the bleeding! It’s intense isn’t it?! Congrats to u and Matt! I had my daughter natural and the episitomy is the worst besides the placenta. It has been over 30 yrs and I can still remember it. Ugh!! WIsh I had the knowledge Kath had. Great story. Honestly it makes me a bit nervous to give birth! The tear especially ): But the reward at the end must be so worth it…congratulations and enjoy the fruit of your labor! Literally! Congratulations to the three of you!!! You rock, mama! And your baby is precious. Thanks for sharing your story with us! You are so strong and even reading this, I felt your empowerment. You are an amazing writer. My last *baby* is 32 years old now and your story took me right back to their births. (also drug free) (I chuckled to myself when you said you were so happy to be at the hospital and ready for labor, something you’d waited your entire life for.) I remember thinking during transition about the phrase “climbing the wall” – I now know where it comes from. Believe me, I was in so much pain I wanted to climb the wall. We did not have a doula (nor had even heard of one). My husband did an amazing job helping, but I’m sure he would have loved to have the help and guidance of doula. Twenty-five years later when I was in the room with my daughter during her labor, I could not believe she was Sleeping. During. Transition. Unbelievable is the only word for it. 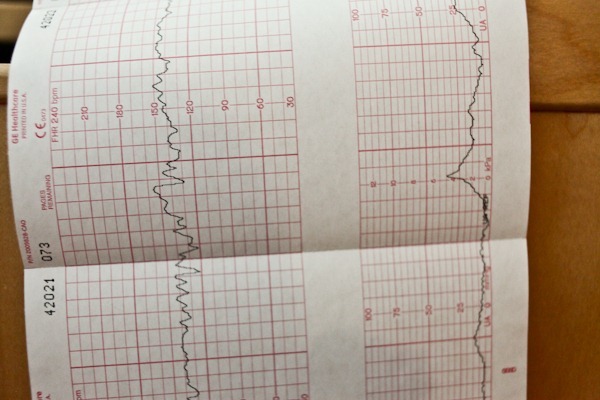 (because of the epidural) I could not get my mind wrapped around sleeping during transition. I’m so happy you tried a drug free labor and did experience what womankind has gone through for ages. Not ever having the chance to experience labor with an epidural, I can’t recommend one over the other to you. We all know that the bottom line is just to bring a healthy baby into this world. Wow! What an amazing story. Congratulations to you! You guys are such a beautiful little family. Every woman deserves the birth that she wants, I’m glad that you and your “labor team” were able to achieve it! Congratulations! Best wishes to you and your family. Empowering is right! Everyone tells me I am crazy to do my births drug free, but it is an amazing feeling (when you are done 😉 Kinda like running. lol). And people always ask if I will do it again with the next one. Like you, I plan on taking each birth as they come. I absolutely love reading birth stories. So thank you for sharing yours. It is so amazing what our bodies can do. And from my experience, the second one is WAY easier (so hopefully yours will be as well). Even though my 2nd was a full pound heavier than my first (he was 8lbs 11 oz) my body was like, oh hey, I have done this before. Helps when it is a lot quicker too (24 hrs of labor with the first, about 6 with the second). Also, I am very impressed because your water broke. That makes a world of difference (pain wise) because you no longer have that cusion. With my 1st I didn’t know that and the docs broke my water at 8cm dialeted to ‘speed things up’. It just took the pain to whole new level, but didn’t speed things up and I was in transition FOREVER (as you know, not a place you want to spend a lot of time). With my 2nd I educated myself more, read Ina May’s book, etc, and made sure they did not break my water until I was ready to push. That truly helped. Any who, I just wanted to reiterate how strong you are. Congrats on Mazen’s birth – he is adorable – you guys are such a wonderful family. Best wishes! What a great story, I’m so happy you had such a fabulous birth! And I completely agree about what a difference a doula makes, we didn’t have one the first time but did for Baby #2 and #3… she supports both mom AND dad. Partners definitely have their place supporting the birthing woman, but there’s something wonderful about an experienced, knowledgeable woman by your side. It’s how women have given birth for centuries, surrounded by women! Congrats again, loved reading your story! Beautiful birth story Kath! Thank you for sharing it with us. It is truly amazing what the female body can do. I had no clue what doulas were until a year ago. What amazing women to assistance other women with their births. So much of this sounds familiar. 🙂 I was group b positive too and needed antibiotics but my labor was so long that by the time my baby was born I had had about 5 bags of fluids. Not fun. Glad you got the labor you wanted! Thanks for sharing! Aww 🙁 I cried. I had a home birth almost 8 months ago, and I completely know how you feel. The pain is unthinkable!! I’m so glad I experienced it but wow, was it intense. I never expected that. Thank you for sharing your beautiful story! Thank you so much for sharing such a personal story with us! I’ve been a long time KERF reader, and following your journey into motherhood has been so exciting 🙂 I’m sure many readers feel the same way. I’m 25 and nowhere close to wanting children, in fact many details about pregnancy and labor scare me SO MUCH! But when the time comes, I plan on a drug free birth. Reading about your experience showed me that it can be done.You’re an amazingly strong woman, thank you for sharing with all of us! Thank you for sharing! My baby is 7.5 months old and I have not yet finished writing his birth story. We had similar experiences! 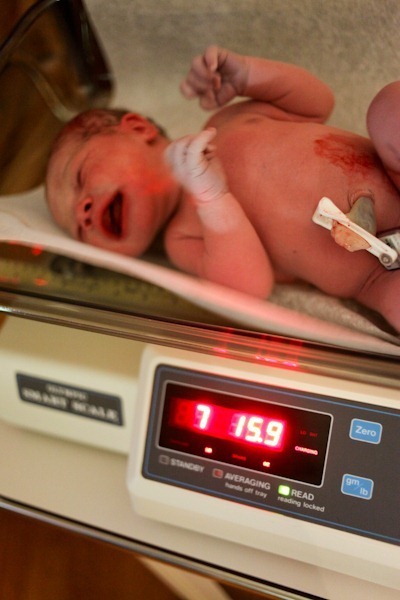 (water broke early AM, delay going to hospital, doula, 3 am birth, boy, mine was 9#3oz. But 20.5″ too, second degree tear, no epi, not sure I’d do it again!). It’s funny how all births are different and unique yet childbirth can also be SO similar. I remember the grunts and the growls and thinking that there would be no way to sit through an epidural so just push 😉 on! Lots of birth memories as I read your story. Congrats again and welcome to the club! That’s cool we had so much in common! Thank you so much for writing this. What an amazing story. At 22, I currently have no desire to have a kid but I feel like when I get to around 30 I might want to. This scares me but it is also AMAZING to read about how intense such a normal, human process is! Everyone alive in this world is a result of this incredibly unbelievable experience! My mom had an epidural with me and she’s always sort of nonchalant about how childbirth was, so it is *great* to get to read about a natural childbirth. Wow!! I just thought I’d let you know that even for people who aren’t thinking Baby anytime soon, this was SUCH an amazing story!! Thanks! Okay. How is your kitchen that clean with a NEWBORN!? Haha. I am really put off by you equating being empowered as a women to a drug free birth. Are you saying that a woman who has a c-section is less womanly? Honest question. I thought that we, as women, are all here to encourage each other. Your post smacks of exclusivity. This disappoints me. Not at all. Any women that has had a baby should feel empowered. I’m referring to birth in general, not how mine happened. Let her have her story! Really she empowers me! The more birth stories I read that are drug free, the more I wish I would have done it! It’s important to remember that all women have different birth experiences and each one has a significant impact on our understanding of creation, womanhood and motherhood. Kath is expressing how natural child birth without drop rugs empowered her and impacted her. It is likely you felt the same way. I know I did and I chose to have an epi after 10 hrs and almost 24 without sleep. It’s a primal feeling and a unique experience. Also Kath writes from her perspective not from yours or mine so she is entitled to her own interpretation! I sure appreciate your candidness Kath! Ugh. “Without drugs”… Not drop rugs. Sigh autocorrect. I didn’t get that sense at all from this post … I am a two-time c-section mama (I tried so hard both times for a vaginal birth) and I don’t feel slighted in any way to Kath’s description. Have I experienced labor/delivery as an empowered woman? Eh, it’s all about perspective. Heading into my third c-section I can tell you that natural labor (which I went through twice for many hours before the surgeries) is nothing like a c-section. One can’t even compare. Having said that, my empowerment as a woman comes from simply having a baby, no matter how it’s accomplished. Kath allowed room for this in her last sentence by not excluding anyone … epidural moms, c-section moms, etc. but by merely describing her interpretation of her own delivery. Kath, I applaud your commitment to having a drug-free birth. Your story is beautiful and inspiring. She didn’t judge anyone else’s choices in this post! Lay off. It’s sad to me that a woman can’t talk about how much *her* birth meant to *her* without other women thinking it’s all about *them*. In order for you to be satisfied she would have to not express her personal happiness over her birth experience. You are asking her to censor her feelings of accomplishment, empowerment, happiness, and relief because it makes you feel bad about your own birth. This has nothing to do with you, or your birth. 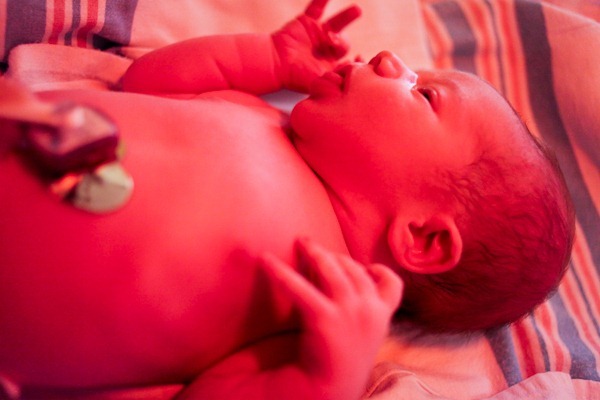 This is her birth story, her feelings, and you are choosing to be offended. You could choose to just be happy she had the experience she wanted. I’ve read some really offensive things on natural birthing sites that are outright judgmental and rude towards c-sections/hospital births/epidurals, and nothing in this post came close to any of that. I’m not sure if I’m more excited or more scared after reading it, though, ha! I feel like we had very similar experiences, especially about how sharp your mind was, just not being able to communicate! But, we’re all just humans and while every birth story, every pregnancy, woman, and baby is different… they’re also so similar. This is hands down the best thing you’ve ever wrote. Welcome to motherhood! 🙂 good story. the mess, is definitely a reason not to have a home birth 😉 I hope you are sitting more comfortably soon. Beautiful birth story! Thanks for sharing! When you go natural does that mean you don’t have a catheter? Weird question maybe but I have never had a baby! I always thought you had to get one with an epi, but I’m glad to hear that’s not the norm! If anyone had mentioned catheter to me, I’m not sure I would have chosen pain relief. Needles don’t scare me, but catheters? Yeesh! Congrats, by the way. He’s a beautiful baby! I’m a maternity nurse, and I’ve never heard of someone not getting a cath if they have an epidural. Sometimes they leave it in until after delivery and remove right after, or they do the “in and out” in order to relieve the bladder. They do it after the epidural is in, so you don’t feel it. I got one when I had my epi. It was no big deal, really! I have a bladder disease so catheters do not sound good! Maybe I am thinking of someone who had a c section and just getting confused. At any rate, loved your story, you and Mazen look amazing and I hope to be in your boat someday! Loved this story!! You are one strong woman. And your newborn family pics are adorable! Thank you for sharing. That was such a beautiful birth story. Well done! I find it so very brave of you to share not only your birth story, but the whole 9+ months of pregnancy. 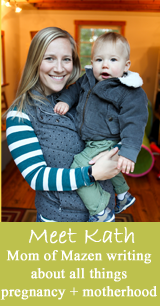 This blog is such a great resource for moms and future moms to-be. Beautiful. Thank you for sharing! He is so cute, especially in stripes. Hope you are feeling good! You are a natural! I loved reading your birth story. You did amazing. One of my friends was telling me about how when she gave birth she was so grossed out by all the muck and in the hospital here you do it all in the same room give birth and post birth stuff. You and your baby never leave that room unless you have a C section. And she remembers after giving birth thinking when can I move and someone can come clean up my bed cuz this is nasty. Its interesting how different hospitals deal with all that. I must say I made it through that whole post with out balling and then at the end all the pictures of you three together couldn’t do it anymore. You all look so happy. I wish you the best of luck! Your story was beautiful. My daughter had a home birth about a year ago and it was so amazing. Don’t make a decision not to have one because it is messy. The midwives and doula that were there cleaned up everything. I also loved reading the story–you described what it all feels like so perfectly. Interesting you compared it to a powerful magnet. That’s similar to how it felt to me, except at the time I described it as an old-fashioned watch spring tightening tighter and tighter in the area of my cervix until it was pretty excruciating, and then releasing. And just think, you avoided all the potential complications of an epidural, like dangerously low blood pressure. Not to mention that everyone says that recovery is often much faster after a drug-free birth. The good news is, second labors are, on average, half the length of first, because the cervix typically dilates twice as quickly. Bravo! Your birth story is truly wonderful. I’m a college English teacher and have high standards, too! Thank you for the effort you put in to such beautiful blogs, as well. You’re so talented and generous with those talents. I just love the photos of you kissing Mazen. How blessed you and Matt are. We all share in your joy. And by the way, the last lines of your birth story are perfect. 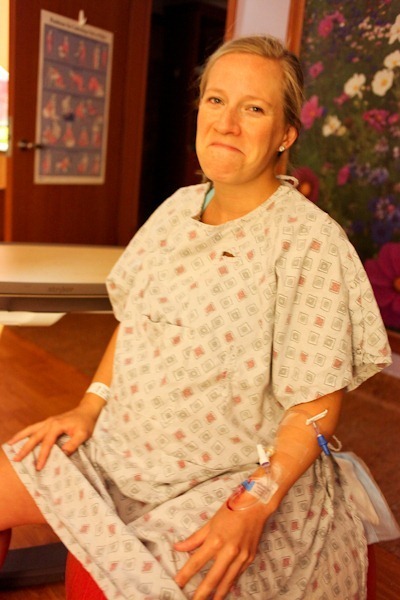 Seriously, Kath…one of the best birth stories I have ever heard. So honest and I didn’t think it came of as touting one form of birth over another. Just a detailed recount of your own experiences. I’ve said it before, but I’ll say it again- I hope to document my pregnancy/birth experiences as well and as honestly as you have. Can’t say thank you enough!!! Also…can’t say CONGRATULATIONS enough! Mazen is beautiful! People always give me the side eye when I say that pushing felt great but you experienced that too! Child birth is amazing and I’d do it again in a heartbeat-I just don’t want another baby-ha! Kath, beautifully written! And such a phenomenal story. You did such a fantastic job and as creepy as this is to say since I am a stranger, but I am proud of you. A drug-free labor really pushes you to your limits. I share so many common threads with your story, it brings back so many memories! I didn’t feel as present as you did though. I have read that one’s body produces natural drugs to help protect them and I so believe that happened to me at a certain point. I was stuck at 9 cm for over 7 hours. I couldn’t lie or sit down that entire time. I was either leaning over a birthing ball, rocking side to side, on the toilet or in the tub. However, I felt so gone. My only sense was touch. It was so strange to feel so far away, yet present with every sensation happening to my body. Your line about the shock of things not being closer to the end made me laugh. Every time I labored on the toilet I would work on such intense contractions and then reach down and feel for a head thinking, where the heck is it already?! Ha, little did I know how deep and hard I needed to push to get that head. Again, wonderful story! Thank you so much for sharing! 7 hours at 9… wow! 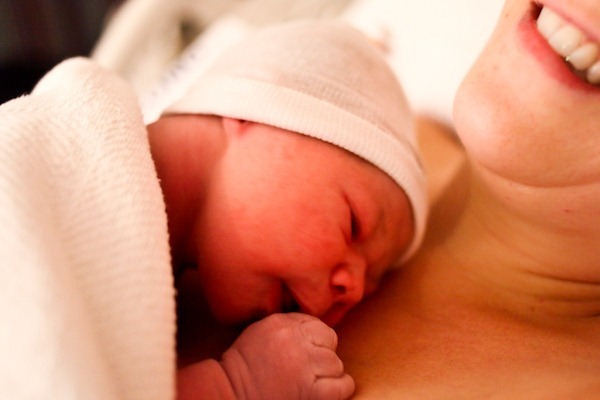 Kath this is an amazing birth story and I read every single word and with each word, I was brought back to my own birth story, some things that I would have never remembered unless I read it…from the nurses pushing on my belly after the birth and it not being pleasant to literally not even having the strength to fix my own hair during it all…wow, the details in this are just amazing and you will thank yourself later (and I thank you!). I’m reading this at 26 weeks, and it made me cry pregnant hormonal tears. It also scared me, I have to be honest, but thank you for writing this and being honest. My mother describes labour as “not as bad as period pains” – I think she’s forgotten how it can be! My own labour will be far more medical than yours, for various reasons and complications, but thanks for giving me a realistic idea of what it is like. That’s funny about your mom . . . my mother makes the births of my brother and me sound like she went to the day spa and on the way out they handed her a baby. My father has indicated that as someone who bore witness to events, this is not entirely how things went down 🙂 I suspect that her desire for grandchildren might have something to do with her tendency to romanticize. Thank you SO MUCH for sharing your story. Insightful and inspiring! 2 questions: why didn’t you have to deliver the placenta? I thought everyone did….would be curious to learn more here. The next question is financial, and if you don’t want to answer I understand. How does hiring a doula work? Is that covered by insurance or out of pocket? Would be curious to learn more here as well. Bravo, Kath. Bravo! I delivered it, but I didn’t have to push. He just kind of pulled it out. And the doula is out of pocket. Most are around $500 for the birth. The cost also depends on this area in which you live. Here our doulas run from $250 – $500 …. worh EVERY penny. Eh, I live in Seattle, and doulas are around $1200!!!! Lucky! 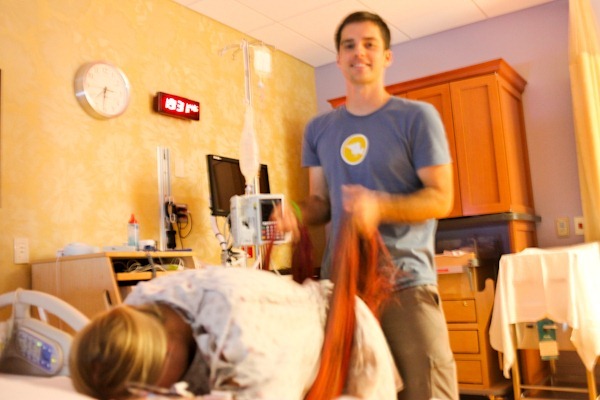 Another doula question- can you hire a doula if you plan on getting an epidural? Or are they only for if you intend to go drug free? Sorry if this question sounds completely lame (6 wks preggo here so all of this is new to me! )…Why do the nurses have to push down on your uterus after delivery? Sounds painful/unpleasant as you described. I believe it’s to help it shrink down, prevent hemorrhage, and expel blood.. Definitely unpleasant! I had a birth similar to yours, water broke, strep b, no pain medicine. The main difference is I had Pitocin given. And I was surprised to read this because no one pushed down on my stomach/uterus.. so it doesn’t happen all the time.. wonder why some do it and some don’t. Different doctors have different methods. My first birth, in Toronto, I had Pitocin afterwards and no pushing. My second, in Minneapolis, the opposite. I did it myself so the nurses wouldn’t have to help. You just sort of massage/knead your belly. Congratulations on Mazen and thanks for writing this post. I’m 38.5 wks pregnant with my first and anxiously awaiting labor! My goal is to go natural and it’s encouraging and helpful to hear realistic accounts from other people, I feel like so much you read in the books or hear from friends leaves out the unexpected parts so thanks for your honesty and for sharing the whole story! Thank you so much for your beautiful Birth Story and your honesty!! I have to say though, reading this made me even more thankful that I had an epidural with all 4 of my pregnancies!! 🙂 Mazen is so adorable….looking at your pictures and that PRECIOUS video you posted from the hospital makes me so want to have another baby. There is nothing like those first few days/weeks of getting to know your little one. :-). Why could no one believe he was eight pounds? Probably true for you :P, but I also gained around 20 pounds with both kids (8 pounder and 9 pounder) and I exercised a ton but ate pretty much like crap! I think people just carry how they are going to carry, no matter what the nutritional. My sister ate pretty perfectly and gained 40 pounds each time! You did great, Kath. Just so happy for you that all went the way you wanted it to! I agree, sometimes people just naturally gain more than others during pregnancy, and others gain a lot from poor nutrition. I am a naturally thin person, ate healthy during my pregnancies, and gained about 45 lbs with each pregnancy. I lost it all both times with good eating and exercise, it is just what my body does during pregnancy. Thanks always for your honesty and for sharing with us, your readers. You are empowering! And the best! I loved reading this. Enjoy your time with that little man. My son started in the Marine Corps at Quantico this week. And I am missing him tremendously but am so proud. I would be honored to get to meet you someday, maybe on a visit down to Quantico. You are positively incredible and strong, Kath!! I would be lying if I said that I am not absolutely terrified of giving birth one day, but your blog will be such an invaluable resource. I cannot fully imagine all that you experienced, but Mazen is so precious. Thank you for allowing your readers to be with you throughout your pregnancy and now the birth of your and Matt’s son. Congratulations again! WOW! That’s so crazy! I think I’m getting used to reading birth stories because I didn’t feel as traumatized (or have to take breaks while reading it, lol, like I had to with other’s I have read), so I’m getting braver 🙂 Glad you were so brave! Oh my goodness, I’m crying!!! What a beautiful story Kath!!! Thank you so much for sharing your story with us and for being so inspiring! Girl, you are amazing. Early in my pregnancy I had thought I could try it without an epidural, but once I was 37 weeks the doctor checked me to see if I was dilated and THAT hurt so much that I cried and I realized if I couldn’t handle THAT, that I would most likely need an epidural. I’m so impressed you stuck with it and did it! Congrats, he is absolutely beautiful – and I LOVE your fushia sweater! What a great story. I appreciate the detail that you went into and that you didn’t sugar-coat it. You should be proud!! I loved reading your birth story! Thank you for sharing it with us. There really is something about acupuncture! My sister in law went into labor shortly after she had it done (she was a week over her due date). Interesting! Such a beautiful story! Thanks for sharing…Mazen is so beautiful! Nice work mama! 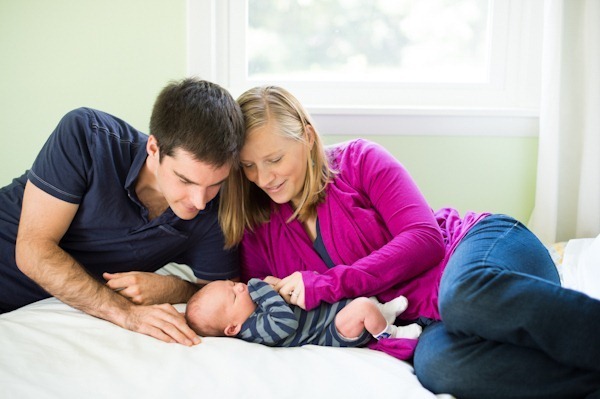 GREAT birth story, Kath!! Wow, such an inspiration for me who will be in that situation in 2 months. I really want a drug-free birth too, but I don’t have a doula. I’ve heard how amazing they are, and it’s definitely something I wish my husband and I had considered sooner. 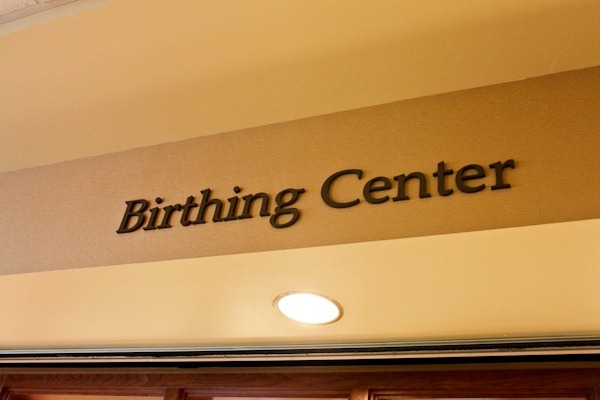 We have a midwife though, so I’m hoping that she will make the experiencing awesome, too. I cannot believe how detailed you made this or how much you remember of it! I’m hoping with all these birth stories I’m reading lately, it will help me prepare for my own!! I’m still not 100% mentally prepared for childbirth yet, so I better get on that soon! I loved this–Thank you! Women are absolutely amazing….aren’t we??? Beautiful story. Awesome job mama! Congratulations again! Congrats on your adorable baby! Thanks for sharing your birth story – I have never seen one go into so much detail online. And how lucky you were to get the birth and healthy baby you had hoped for – many women do everything “right” and still end up with complications, preemies, bedrest, etc. I loved this story!! My daughter is 16 months old and I had her naturally too. Your story brought back so many of those same emotions. We are thinking about #2 now and your story has got me excited about the whole journey again 🙂 and thinking seriously about a doula, we didn’t have one last time and I think that it would have been more of a team effort if we had, like you said. Congratulations!! If anyone has time to answer a quick question: Are there pain management options during birth that DON’T involve an epidural? I think that L&D are still years off for me, but I am curious. 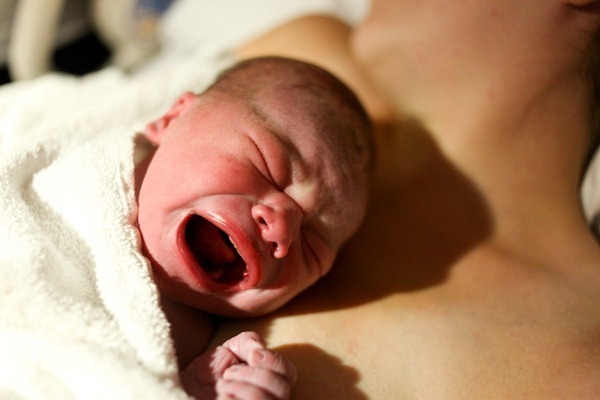 Obviously in the case of a c-section an epidural is necessary and normal, but can you get some level of pain relief during a vaginal delivery outside of an epidural? If a woman has an epidural she will have a catheter at some point or another, some without ever knowing it even happened. I’m 24 weeks pregnant with my second baby and had a natural birth with my first that sounds SO MUCH like yours. Water broke. Within two hours, I was having almost back to back contractions for nine more hours that were so intense it felt like my body was breaking (got the same comment from my doula — that she rarely sees that). It was all a blur of incredible pain and primal grunting! And, the funniest coincidence is that, at the beginning of it all, I, too, exclaimed, “Bring on the pain!” Here’s a comforting piece of info. I met with my doula last week, and she said that labors where your water breaks before the labor TEND to be more intense because your sack of waters acts as something of a cushion. 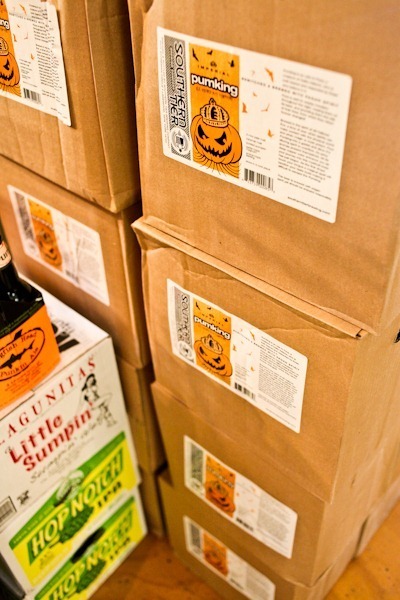 So when it’s gone, you may feel more of an intense downward pressure (body breaking!). She also said that subsequent labors are generally much shorter and easier. She said she didn’t even really have to push with her second. Of course, nothing is certain, but I’m feeling much more comfortable making the decision to do this naturally again. Also, with all the research you did, I’m sure you know all the benefits to the baby — reduced c-section rate, etc. So, while it is truly the hardest thing we will ever do, we are not just doing it for us. We are doing it for them, too. (Though I have absolutely no judgement towards anyone who wants pain meds — we live in a world of modern medicine, and we have every right to use it!) Congrats! Enjoy the wonderful adrenaline and Oxycontin high that comes for the first couple of weeks! I can’t believe you were brave enough to wear light-coloured shorts outside after your waters breaking. After mine broke early with DD #1 I was spurting and leaking until she was born. I have all the luck. Thanks for sharing. I am 37 weeks along and always enjoy hearing a great birth story. Yours is truly inspirational, and well said. Appreciate all the little sidenotes and details! Wow! Kath, what a beautiful birth story! I was laughing out loud and crying at moments. You and Matt are already aMAZE-ing patents! I am so proud of you both (and I miss my friend)! PS: I am in tears! Kath, I loved reading your story. For a nulliparous woman, I learned a lot. Thank you, so so much for sharing your baby journey with the blogosphere (and congratulations on having the birth you hoped for!). Question: Was the day before you began labor (the 5th, I believe) the first time you ever had acupuncture to specifically promote delivery? Thanks in advance! As somebody nowhere even CLOSE to baby phase of life, this was inspiring and beautiful to read. Thanks for sharing, Kath. Congrats to you! You did it! My sixth child is 3 months old and I never tire of birth stories. Mine were home births so I can relate to alot of what you wrote, the hair, the head looking so small, having someone there like a doula for support more for the hubby than me. Thanks for writing! P.S. may be it’s just me but by the time you get to baby 5 or 6 you will cry alot while pregnant at the idea of having to do “it” again! Haha! Congrats kath! I am just curious as to how moderate weight gain helped you have an easy delivery? I know you do lots of research so I was wondering what you found! I had to laugh at that part – I weighted 250 when I delivered, and I didn’t do anything like body pump while I was pregnant, ate plenty of ice cream the whole pregnancy (and I didn’t have GD or anything close) and I managed a drug-free delivery even with almost 60 hours of labor (read: no sleep for almost three days!) and no doula! I even stood up through the majority of my labor (best way to manage my contractions) and it wasn’t that bad- I never even thought of asking for an epidural, and I only had to push for 45 minutes (my team also told me I was a great pusher, lol). 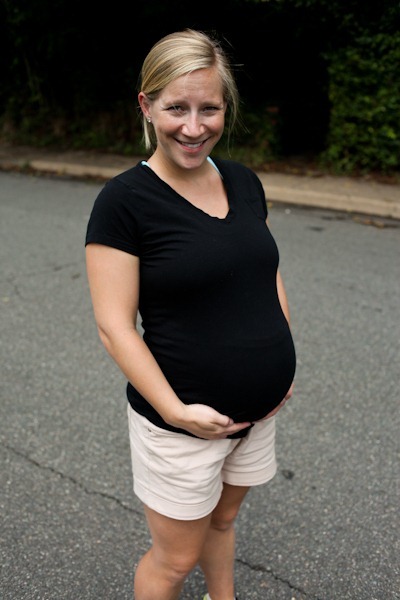 And of course you can be like Sherri from LoveHouseLove and be in exceptional shape (she looked AMAZING at the end of her pregnancy), and both she and Clara would have died without an emergency c-section. It really is luck! I’m not sayin it isn’t! Clearly Kath was responding to a question that was posed to her. Life itself is all about luck but that doesn’t mean that we shouldn’t try to take precautions and try to live a healthy life. Sounds like you got exactly what you wanted! Congrats! So lucky! Two questions: 1. Did they let you push in any position or just flat on your back? and 2. 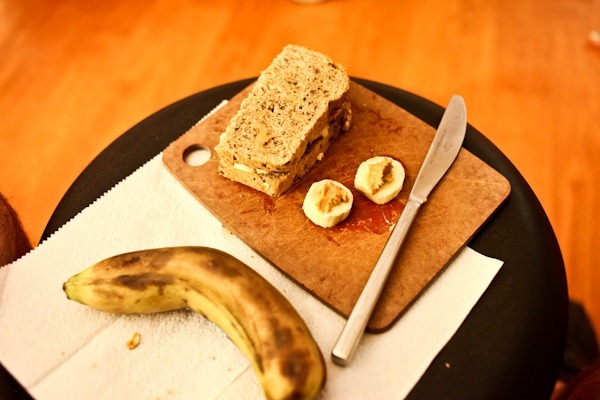 Looking back, are you still glad you had the big breakfast, was it worth the throwing up for the energy it provided? Thank you Kath for a wonderful, honest, and almost tangible story. Wow! Amazing story and very well written! You have such a gift in writing, Kath. I have 4 kids and 3 birth experiences (twins for the last one). I was lucky enough to have 3 different experiences: and induction with epidural, drug free natural labor, and a c-section. The drug free natural labor was by far the best experience for me! You did an amazing job getting your birth story in words- every woman’s is different and I value your true view of the experience- it was yours (and Mazen’s!… and Matt’s too)!! Wonderful job, Kath! Congratulations on delivering the way you wanted and getting the joyous result of a healthy baby boy! I’m wondering about the evolution of BERF and KERF now that Mazen is here. I remember a post not too long ago about not becoming a “Mommy Blogger” and I was glad to see that you had decided to keep things a little more private regarding Mazen. He’s not even two weeks old and he already has an online presence. You can google his name and see various photos of your families as well as links for this website as well as others. This makes me incredibly sad. At what point does documenting your life for your adoring fans trump his right to privacy? Have you considered that he may very well google his name once he’s older and see everything that has been written (both good and bad) about his entire family? Have you considered how you will handle this later on in his life? I am so torn about this topic because I like the birth stories and videos as much as the next person. I have really enjoyed following this blog through out your entire pregnancy, but sometimes I do feel sort of icky when watching something so incredibly private and intimate and I don’t even know you in real life. As a blogger, how do you handle this? I have given this lots of thought and am comfortable with my decisions thus far. As he gets older I think privacy will be more important than as an infant. I think the reason i love Kath’s blog so much is because she is so open and transparent with her posts, what you see is what you get! If Kath documented the whole pregnancy and then Mazen was made to be this big private thing, it would upset a lot of readers as we follow Kath’s life and Mazen is a part of that. I understand about Mazen’s privacy being questioned but i personally would have loved to had my birth and early days documented so i could look back on it. I think that we live in a different time now, a time where so much of our lives can be lived online. Sometimes I think that’s a bad thing, but not in the case of Kath’s baby blog. In a way, I think this migration of personal experiences to the Internet makes more people feel connected because you can read about what others – usually strangers to you – are going through, and you find that their experiences are not that different from yours. Kath, thank you so much for sharing this with us all, you were amazing! I gave birth last year and feel like i relived it all again, unfortunately i had complications so didn’t get to have the drug free birth i wanted but the safety of me and the baby made this decision less of an issue… i feel inspired to write my birth story on my blog now… even it was 11 months ago, i did journal it and think it will be nice to share with people who are waiting or wanting to give birth some day. Thank you again… you rocked! Kath, I want to thank you for writing this! I didn’t/won’t have children and I’ve never read or been told a whole birth story from a personal perspective like this. I feel like I really know what’s it’s like now! I mean, not from experience, of course, but you described it so well. I’m not trying to compare the two experiences, but I thought it was funny that some of it reminded me of my gall bladder, which I’m having removed next week! When I saw you laboring in a bent-over, face-down position, I really related. When I’m having an attack, sometimes that’s the only position that can bring a little relief from the intensity! I also related to feeling like you’re sane and alert in your own head but not really able to communicate. I think at a time like that the animal really does take over. During my last attack my husband was trying to comfort me and asking me questions, and I really couldn’t answer him. I would just kind of pause and manage “I don’t know” and almost kind of ignore the verbal communication part! Oh, thank you, Kath! My doctor advised surgery; it’s been bothering me for nearly a year and a half, but he said its fairly common, especially for women my age, and I should be fine. I’m looking forward to that! 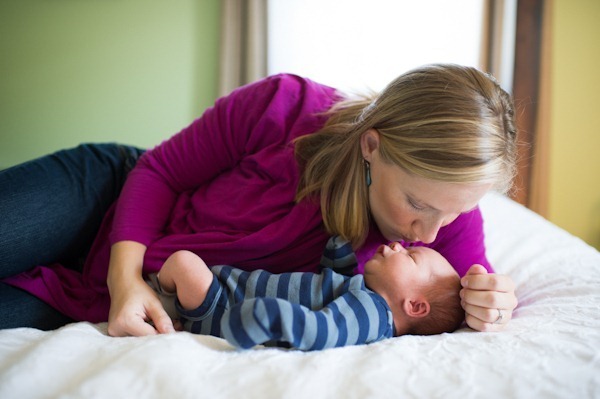 Oh Kath, what a powerful and inspiring birth story! I felt like I experienced the entire thing with you while I was reading it. I can’t tell you how many times I got goose bumps or teared up while reading and I couldn’t move on until I had read this post in its entirety. So beautiful and detailed. Thank you for opening up your world to all of us. Congrats to you and Matt on this new adventure. You are both doing a wonderful job with little Mazen! 🙂 I’m so excited to watch him grow and learn via your blog. 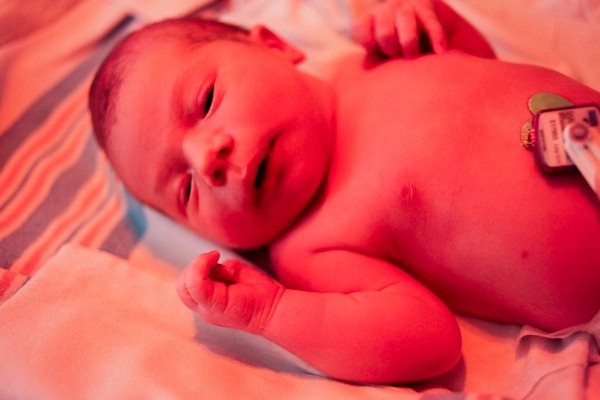 This is the most raw and real birth story I have ever read on a blog, and I really appreciate that. Thank you so much for sharing it with us! I don’t have any children but I think everyone should be more aware of what real birth is like – especially men, I hope some men end up reading this! It would be good for my husband to read. 😉 especially the part about how much it ended up empowering you. Great birth story! Who was taking pictures right after the birth? Did you guys pass off the camera to a nurse? And I can’t imagine laboring while puking, more power to you! It makes me SO glad I didn’t try and eat anything during my last twelve hours of labor. It’s funny how it’s so different for different women, I thought labor would be messier for me but I didn’t experience any of the blood or TMI fluids that you mentioned over my marathon (almost three day!) labor. How has your recovery been so far? I also had two degree tears, and I was amazed how normal I felt even a few days out, despite all the stitches, etc. I think I went for my first long walk with my baby girl in the Moby wrap the day after getting home from the hospital! I found walking to be the best way to ease back into exercise postpartum. I’m glad you got the labor experience you wanted, and I wish you and Mazen nothing but the best in the days to come! I gotta tell ya, I had a civilized first birth. Water broke, no contractions, went to the hospital at three cm. apparently I was contracting but I have a high pain tolerance. 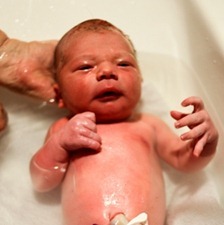 Got the epidural at 8 cm, and all in all he was born 12 hrs after my water broke. Number two…yeah he was born one hour and ten min after getting to the hospital. No time for an epidural and the hub was gone for half that time because he was dropping our son off at a friends, it sucked rocks. But hey,one push and he was out, and recovery was much faster. So there is that. Not only are you a good pusher, you are a very skilled writer. Thank you for sharing your story – I learned a lot, and was very moved by how emotional an experience you had. (I am childless-by-choice so have no first hand understanding of labor and delivery.) Congratulations on the birth of your son! May you have a lifetime of happiness. Thank you for sharing, Kath. My due date is tomorrow and I’ve very much enjoyed reading your journey as you’ve shared it, not only your labor and Mazen’s delivery but also your pregnancy. I am currently waiting for labor to start and also hoping for a drug-free birth. We wavered on whether or not to hire a doula because of the extra $, but we ended up hiring someone. Your birth story has really validated that decision, already! 🙂 Thank you for your honesty and congratulations, he is BEAUTIFUL! Such an incredible birth story! Congratulations to all of you … and welcome to the world, Mazen! Thanks for sharing this. I loved reading every word! I read this shortly after it was first posted and comments weren’t showing. I thought you’d closed it to comments and I thought “Good for her. Nobody needs to elaborate on something already so beautiful.” Then I came back to read it again (because it’s that good!) and saw the comments open. So here is my comment! Excellent post, wonderful birth. I KNEW you could do it. With my 2nd child I had a drug-free labor and I distinctly remember telling my best friend a few hours post-partum that I’d “never ever ever do that again!” (Even though it was only 4 hours long, it was the most intense, painful, powerful thing I’ve ever been though.) But now he is almost 3 years old and I think I would do it again. Each time you get a little wiser and that makes the process go smoother, so if you do have another drug-free labor at least you know what to expect and what you’ll do differently. 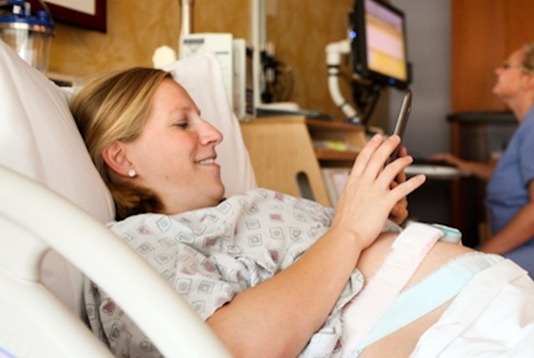 Did you feel pressure to have a natural birth because of your health blog? Congratulations!! He is adorable! I had my first drug free and the second with an epidural you will know what is right at the time. Either way is difficult but so worth it :). Enjoy every minute they grow up so quickly mine are 15 and 9. Thanks for sharing Kath! What a great story…and I am so happy YOU’RE so happy with everything! Enjoy the baby bliss! I’ve been waiting for your birth story! Beautifully written. I cannot even imagine how painful giving birth is, but your descriptions are amazing (and scary). This is such a lovely and inspiring birth story, Kath – I am training to become a doula and I LOVE your beautiful comments about Jen…. I would love to use your story as an example for future clients – would this be OK with you? Enjoy that little bundle – enjoy enjoy enjoy, they are tiny for but a blink of an eye. Wow what an amazing story! I’m wiping away tears right now. What a wonderful story and so well written! I felt as if I were right there as I was reading. Despite the pain, it seems like everything went well. I’m so happy for you that you got to have that experience. 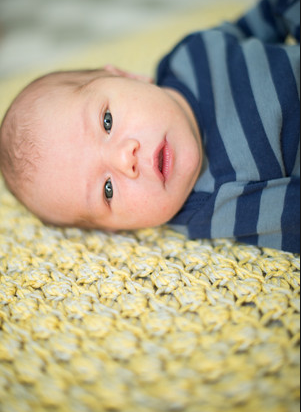 Thanks for sharing your birth story and pictures of your handsome little man. I laughed out loud when you said if felt like a bag of rocks coming out – so right on! With my first kid I had an epidural and didn’t feel anything. The second kid came too fast and I didn’t have time for an epidural and had I remember screaming as I started pushing “I can feel everything!” meaning every bone in his body. 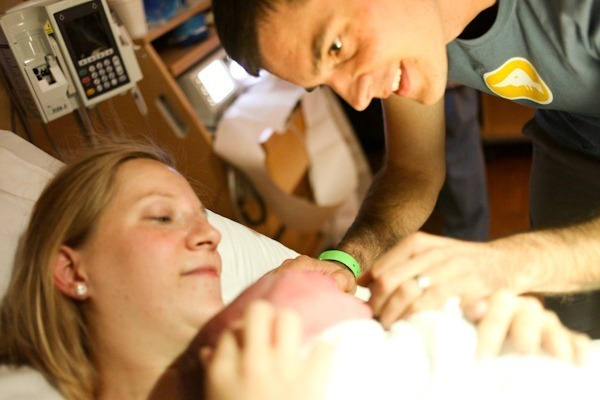 Reading this brought back so many memories of my own childbirth experience…started to get sweaty palms and an elevated heart rate 🙂 My labor and delivery was much shorter than yours, but the intensity was certainly similar as were many of the feelings you described here during and after. I would agree that any mom wanting to have a drug-free labor needs a great doula! My mom was supposed to be mine, but she didn’t make it since my baby was early and came fast, and I think the main reason I was able to do it naturally is because she was on speaker phone giving my husband instructions and me encouragement! A virtual doula, but still so key! Such a great birth story. Kath, you’re so strong! I admire your determination!!!! I hope mine would be as great as yours. Thank you so so much for sharing! I loved reading every word of this, you are a rockstar! I wish I had been a candidate for vaginal delivery but my kiddo never turned (and we couldn’t get him to). Hoping for another shot this time around but I guess for some it just is what it is. In the meantime I give so much credit to you natural delivery mommas! Also, thank you for always being so realistic and honest about your hopes for delivery and pregnancy in general, it was a joy to read every step of the way. Best wishes to you, Matt and Mazen! What a beautiful birth story! I’m so glad that things went well for you with the birth and you are a rockstar in my eyes for going drug-free! I can’t even imagine the pain but at least you get a beautiful baby at the end of it 🙂 congrats again – mazen is adorable! You did great Kath! 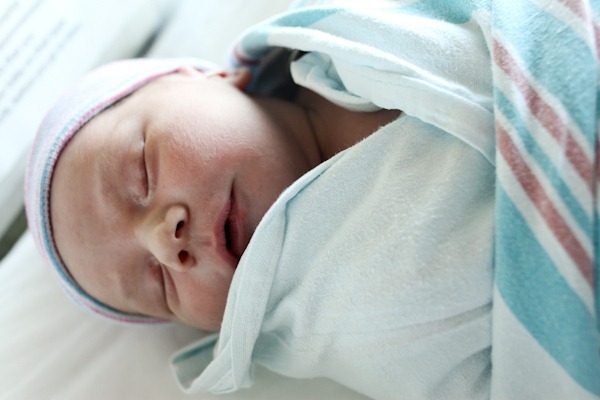 Thank you for sharing your birth story with us. I think those of us that are champion pushers always end up tearing. I had busted blood vessels all over my face, and in my eyes. The next day, I really looked like I had been in a brawl. Happy birthday (belaed) to Mazen! He has stunning eyes. I can’t imagine how exciting it must be to meet someone you’ve carried inside you for 9 months! And I think your reasoning for sticking with a drug-free birth is incredibly reasonable – I love that you wanted to be “in the moment” during the childbirth experience. I’ve always been pro-epidural, but there’s something to be said for wanting to connect your own childbirth experience with the experiences of women throughout history. I’ve never thought of it that way until I read your post, but I think that’s a beautiful way to approach the birth process. I’m glad you were able to keep to your plan for Mazen’s birth – and in the process of telling your story so honestly, I have to believe that you’ll inspire other women not to fear the pain, but to accept it as natural and to try to stay in the moment during childbirth. Congrats to you and Matt! Wow, i had a c-section with my first as she was breech. I’m pregnant again and was considering a VBAC for the next one, but after reading this… NO WAY! You just scared the be-jeezus out of me. Anyhoo ~ Congrats on a beautiful baby! Races are always harder than I think they are going to be. Labor required the same focus and determination to meet my goal. The same mindfulness. And the stretch the finish line was the hardest part. I personally still think that post was spot on : ) Of course labor hurt a lot more though! But it was never an apples to apples comparison. Definitely. Anything challenging physically you do will help you prepare! 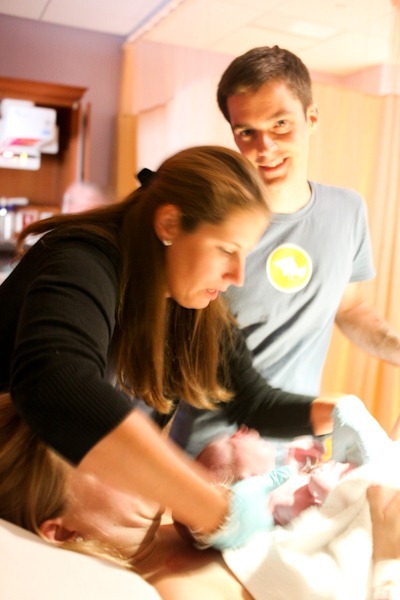 I am so glad you had such a great birth experience Kath! The newborn photos are awesome!! I love the one in which you are kissing Mazen. What a great story..it brings back so many memories!! I remember too that all I could do was lean over the bed and grunted and hummed like there was no tomorrow! Lol! Thankfully for me the most painful part of the labour only lasted about 3 hours. It’s funny how it all becomes a blur…I felt semi-conscious most of the time-I guess it’s our body’s way of coping!! Kath, Thank you so much for your beautiful birth story!!! It was so lovely and so are you! I truly wish you, your husband and precious Mazen Duke all the best. I know you will be enjoying every moment and then some. I have to say that after my son was born (9.5 lbs), I was in the hospital bed and I said to my husband “I just don’t think I can do that again”. It was so long and so painful. But you kind of forget and every birth is different. When my daughter was born, I actually think it hurt a lot more, but the really painful part lasted about 10 minutes (when I grabbed my husband by his shirt, yanked him down to my face and screamed “I want an epidural.” Nice! She was born about 5 minutes later), which is a totally do-able amount of time compared to the hours with my son. I also laughed about your mess comment. When I was taking Bradley classes, we watched some home births and my main take-away from them was “What a mess! I don’t want have that in my house.” I personally found being in the hospital very calming. Especially with my son, being surrounded by people who knew what they were doing was very relaxing for me, at least at first. 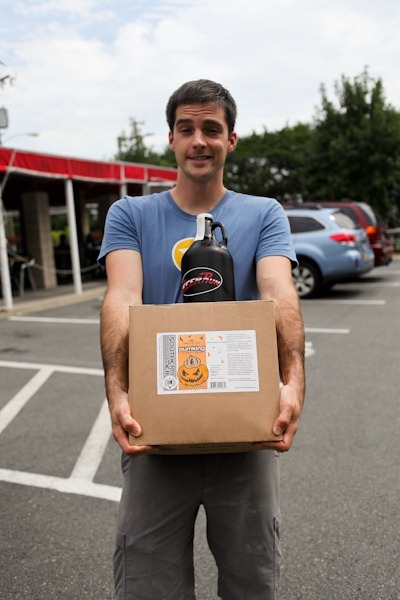 Anyway, yay for an awesome birth, sweet healthy baby and big ol’ case of beer! Dr. Heider! MJH was great and so were the docs. Let me know if you want to walk and talk this week! Thank you, Kath, for sharing such a personal story. I’m so happy that everything worked out basically just as you wanted it to be. Congrats, again on your little bundle of joy. Great birth story. So happy for you! I cried when I read this. Thank you so much for sharing your story. Good work and welcome to the work Mazen Duke! Beautiful birth story and I love the pics of all of you at the end of the post! Gorgeous. What a beautiful, insightful, and educational story, Kath! It sounds like you did a wonderful job preparing for the biggest, most painful, and happiest day of your life. Congratulations, Mama! Congratulations on Mazen’s arrival; I enjoyed reading this story a lot! Welcoming a baby into this world and into your lives is an amazing, wonderful thing. I had a question about something you wrote, regarding your IV and antibiotics – you mentioned it was hard on you emotionally. I thought this was really interesting – and was wondering what made it a difficult moment for you? I bet – labor really puts your through the wringer! 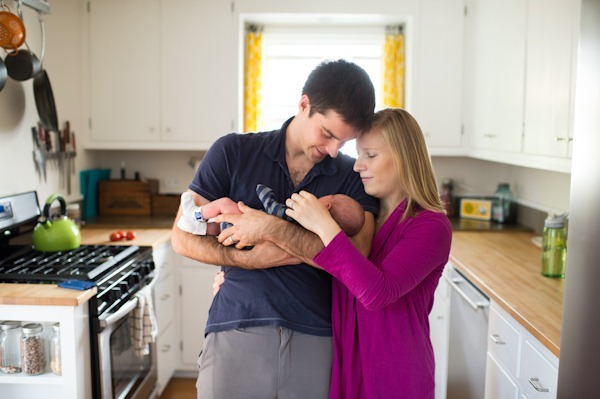 What an amazing birth story and wonderful photos! I spent a good deal of time laboring standing up leaning over the bed rocking back and forth and then during transition I labored in a squat using the birthing ball. I also said a lot of ouuuuuutttttttttts during transition. Isn’t it aMazeing to be a mom, and a woman? Congratulations on your beautiful baby boy. Your entire pregnancy has been a real inspiration to anyone who is pregnant. While, I am not.. I have referred anyone I know who is, to BERF & KERF. I loved this story! You are seriously incredible Kath – congrats on setting a goal and following through on it. You are stronger than you know and such a wonderful example! Also, I’m very impressed that you did acupuncture – I did that once and decided it was NOT for me. And I’m not even afraid of needles! Congratulations! I loved reading your birth story and it made me chuckle at so many points because I knew exactly what you were going through! I’ve had 3 boys naturally and it is the hardest but most rewarding experience I’ve ever had. I really appreciate you sharing this. You seem so honest and straightforward. I would never be able to share this way myself, but I’m glad you do and I learned a lot reading your story(I don’t have kids). So many people are paranoid about posting things on the internet, I’m glad there are people like you sharing and helping us learn. I’m re-reading Mazen’s birth story again. I’m considering a natural labor for my first baby due in March 2013. I think I remember you saying you had Anthem BCBS health insurance. I have the same insurance and was wondering if insurance covered the cost of the doula or placenta encapsulation? Or did you pay for those services out of pocket? It seems like from the questions I’ve asked my health care providers so far, many of the extra expenses I might have with a natural labor (doula and birthing tub rental) might have to be paid out of pocket. I’m just wondering how that worked for you adn Matt.Thanks! Congrats to both of you and thanks for sharing your personal story with us.It’s so lovely to see the photos of your beautiful baby. 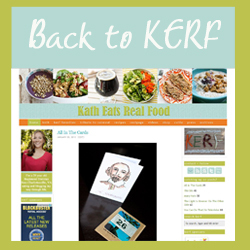 Wow- I just re-found your KathEats blog when looking for a pinto bean recipe on Google. So glad I did! Congratulations on your sweet boy…very belated congratulations…. 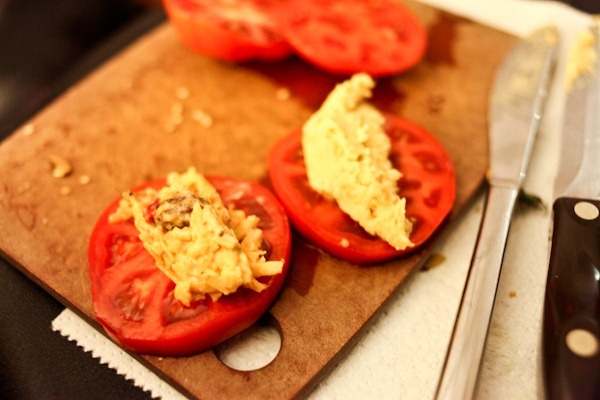 I stumbled on your blog in 2007 and really enjoyed your food chronicles. I followed for several years but fell out of the habit after joining the military. I had a similar birth experience, right down to the popped blood vessels. My muscles were so sore the next few days, I felt like I had a run a marathon. Yeah for natural births! It makes you feel like Wonder Woman. Next time I want to give birth in a bathtub in a hospital. They say water births are less traumatic. I think that darn ring of fire is pretty tramautic! But those sweet babies make it ok somehow.